In 2006 the Nesmith family donated 120 acres near the Starr’s Mill school complex to the Trust. This donation currently preserves a large wetland habitat utilized by local patrons and the adjacent schools for environmental education opportunities. 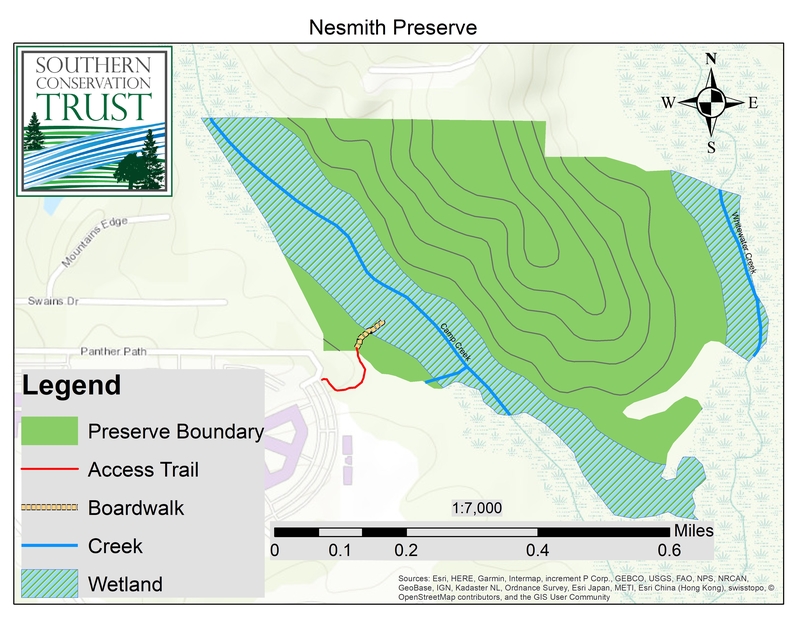 Nesmith consists of a small trail leading past a small pond and canal and giving way to a bottomland forest along a large wetland. This wetland is an impounded section of Camp Creek and is home to numerous wildlife species. The wetland can be accessed by a 300-foot boardwalk and observation platform. 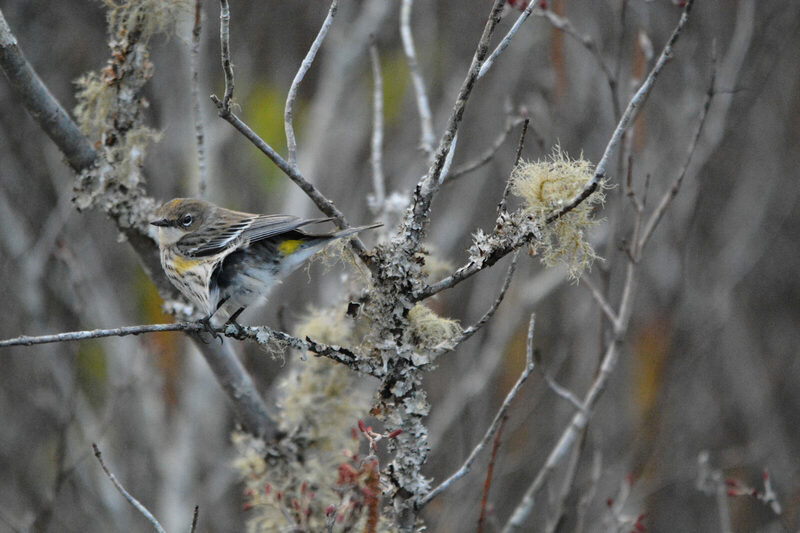 Wildlife species that frequent Nesmith preserve includes a wide number of songbird species, ducks, great blue herons, canadian geese, pileated woodpeckers, and sometimes beavers!